Add to your must-try list. 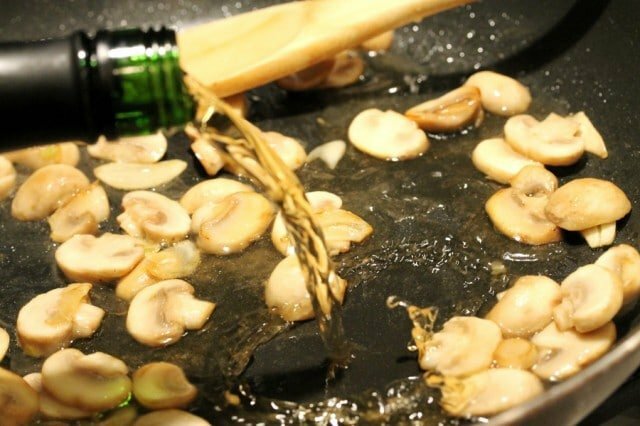 Just the smell of something cooking in Marsala wine reminds me of being in an Italian restaurant. 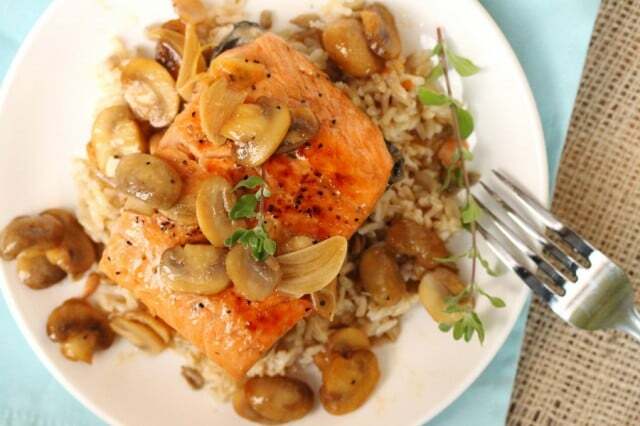 In this recipe, salmon fillets are “shallow poached” in a pan with Marsala wine, butter, mushrooms and garlic. 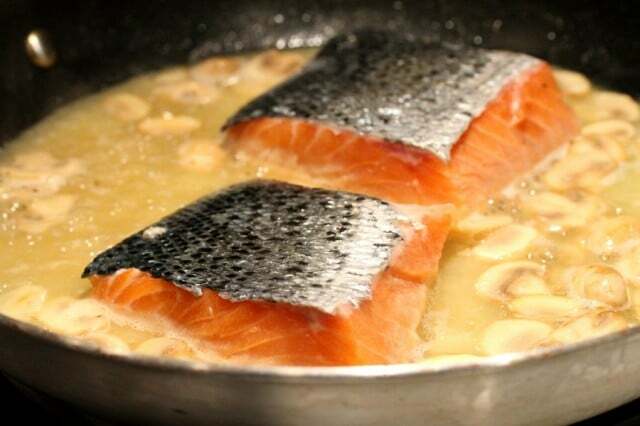 Instead of completely submerging the salmon in a liquid, the salmon is placed in a skillet that is partially filled with liquid. 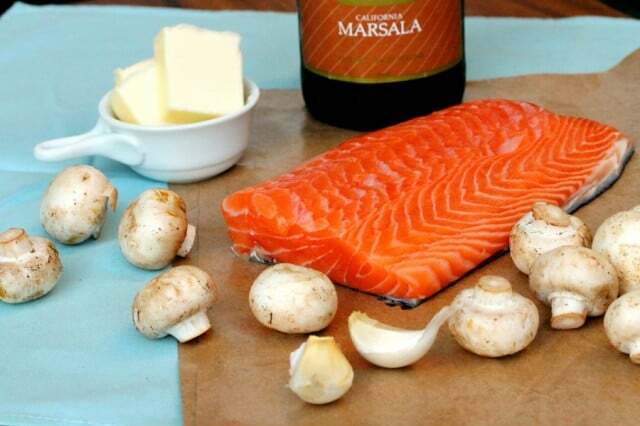 This way the salmon steams and absorbs the delicious flavors of Marsala wine, butter and garlic. 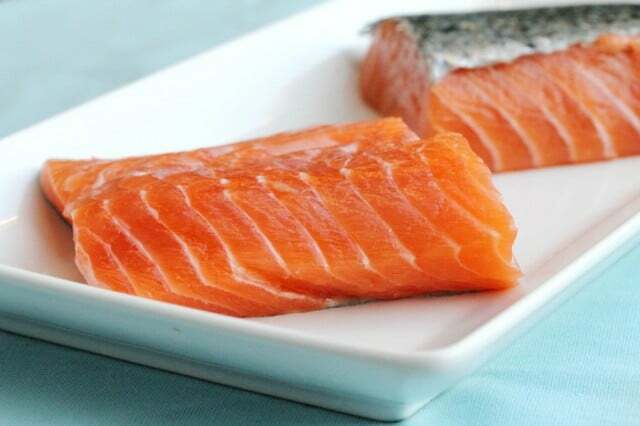 Also, this salmon is shallow poached skin-side up rather than skin-side down so that the top of the salmon fillet (the non-skin side), slightly browns just enough to form a light sweet crust. 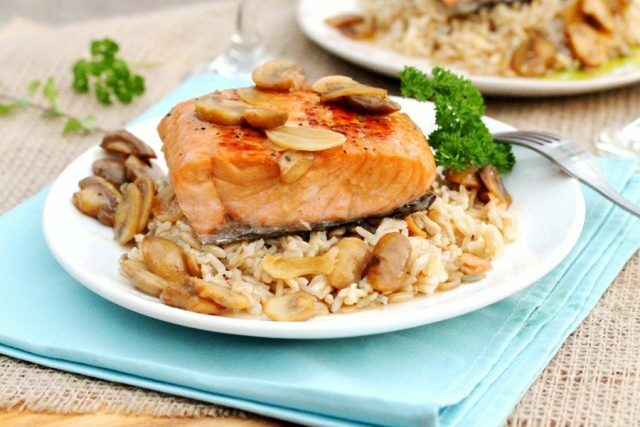 Then the salmon is served over warm brown rice with sprinkles of toasted shelled sunflower seeds. 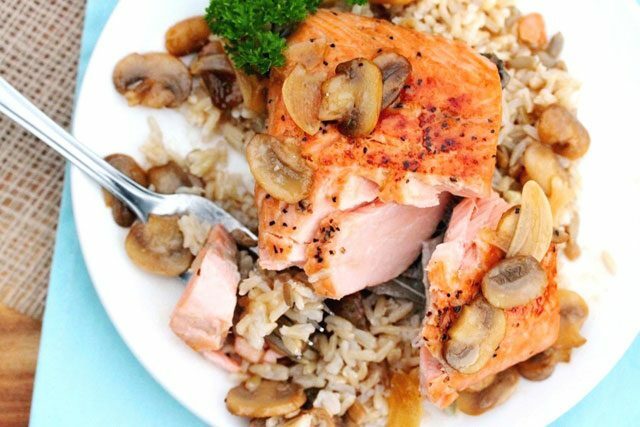 And to top the dish off, mushrooms are served over the salmon along with drizzles of the remaining juices from the pan. 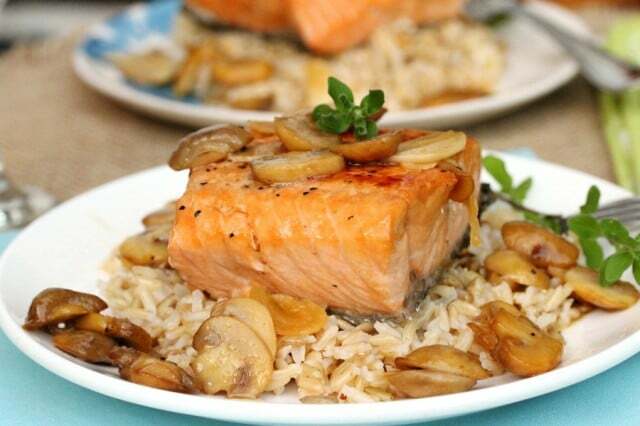 The Marsala wine adds wonderful richness to this dish. 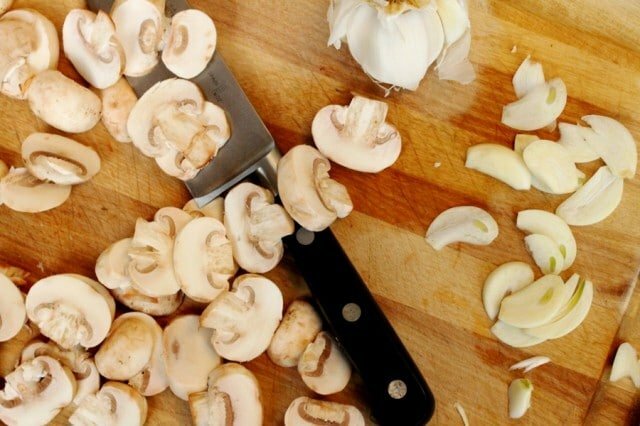 Slice the mushrooms and garlic into thin slices. 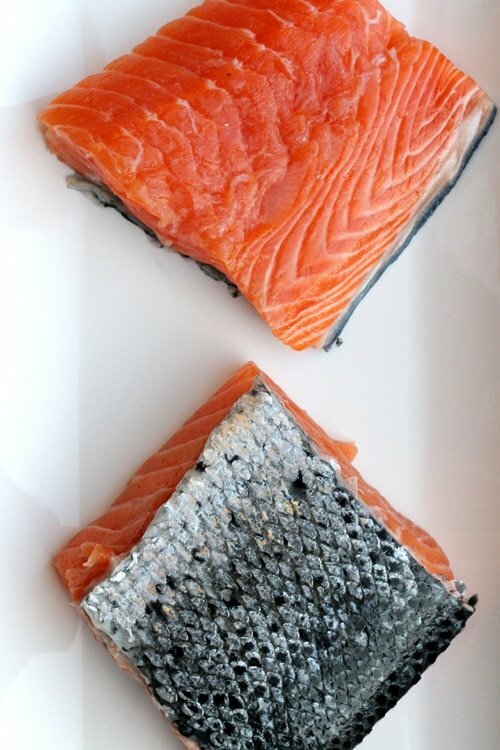 Salmon with the skin on is nice because it seals in moisture and flavor when the salmon is shallow poached skin-side up. 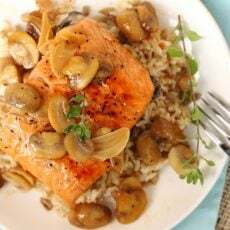 I used coarse ground pepper because it looks so pretty on top of the salmon after it’s cooked. Heat a large non-stick skillet on medium heat and add butter. 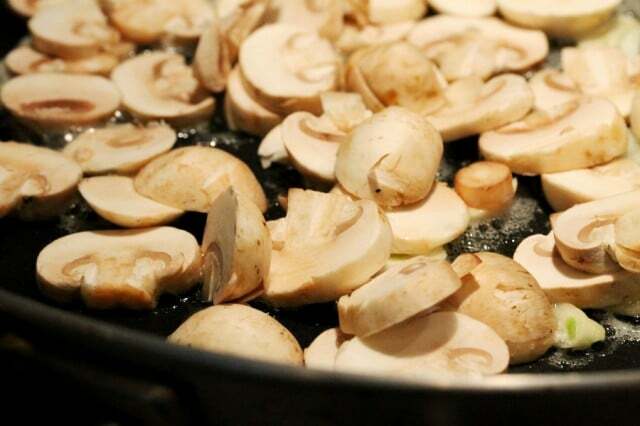 To the pan, add sliced mushrooms and garlic. 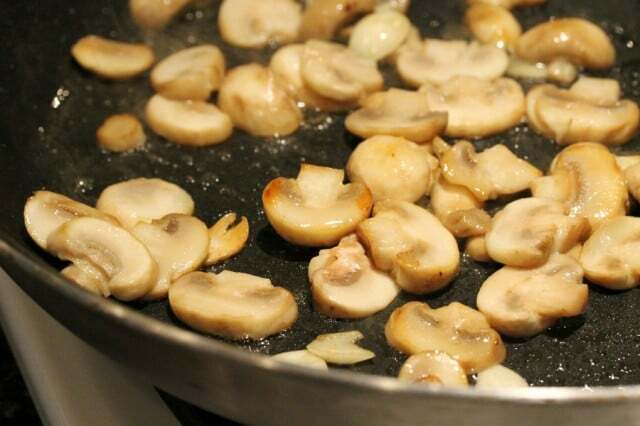 Continue cooking the mushrooms while stirring until they start to brown (about 5 minutes). Watch the garlic closely, if it starts to brown too quickly, turn the heat down to low. 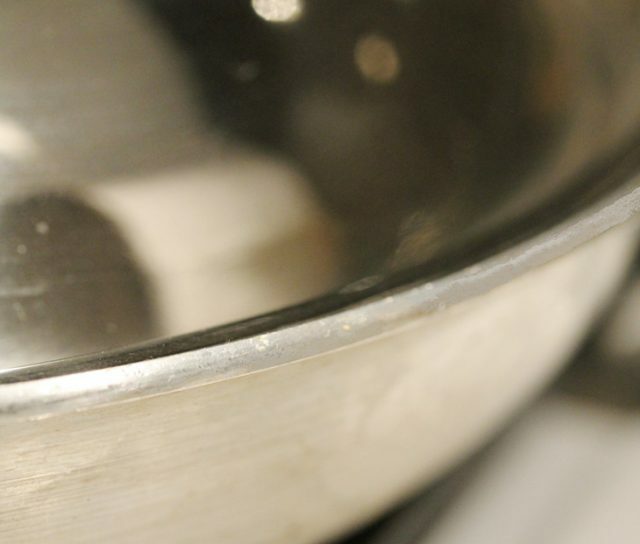 Turn the heat to the skillet off for just a moment and move the pan to an unused burner on the stove. 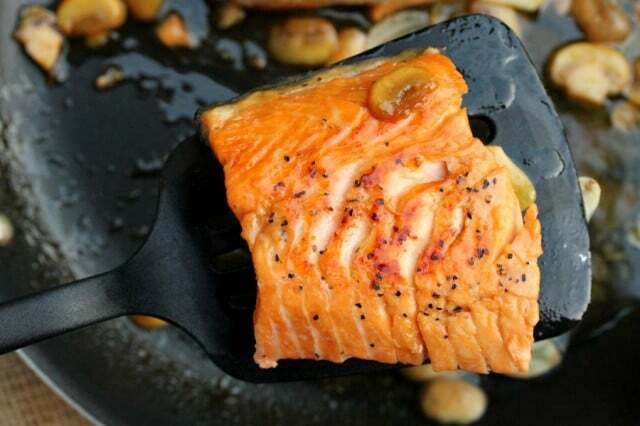 To the skillet, place the salmon fillets (skin side up if the salmon has skin on it). Cover the skillet with a lid. 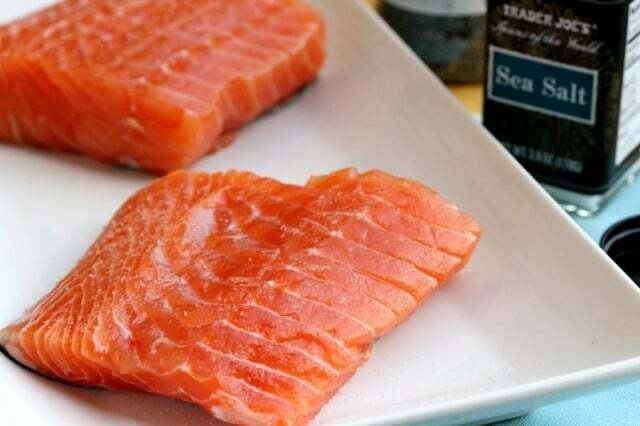 Let cook until the salmon flakes when tested with a fork (about 5 to 10 minutes depending on the thickness of the fillet or preferred doneness). 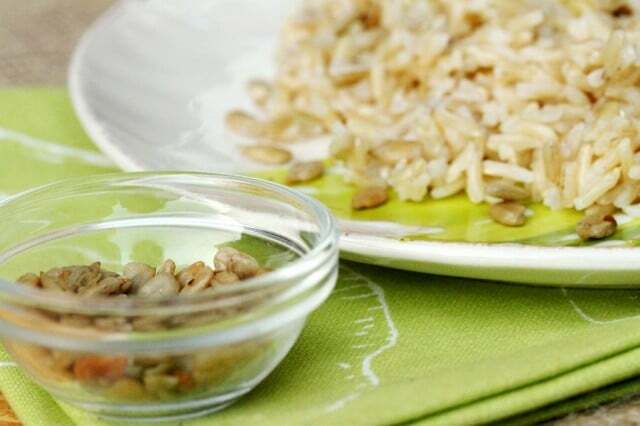 To Serve – To serving plates, add warm cooked brown rice and sprinkle toasted shelled sunflower seeds on top (optional). 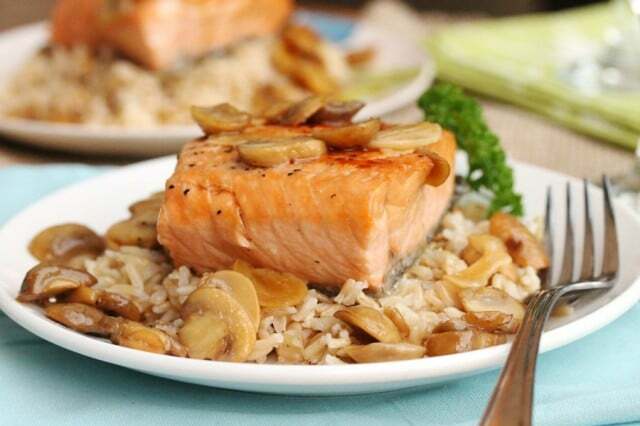 Transfer the cooked salmon fillets from the pan on top of the brown rice and top with the mushrooms. 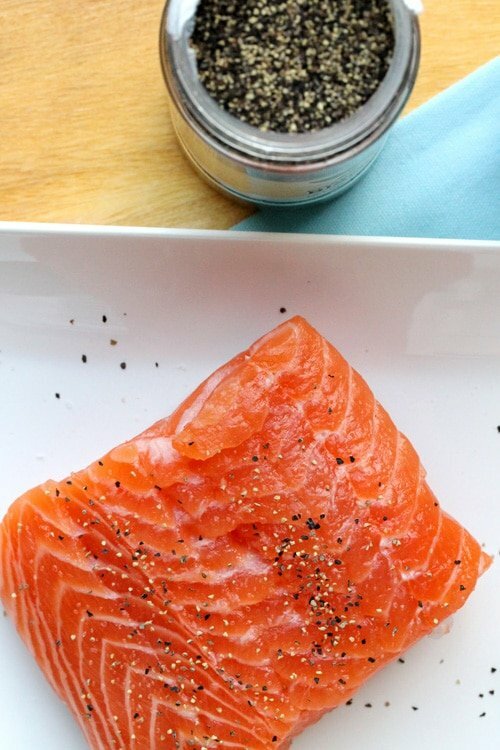 On both sides of the salmon fillets (just one side if the salmon has skin on one side), sprinkle salt and pepper. 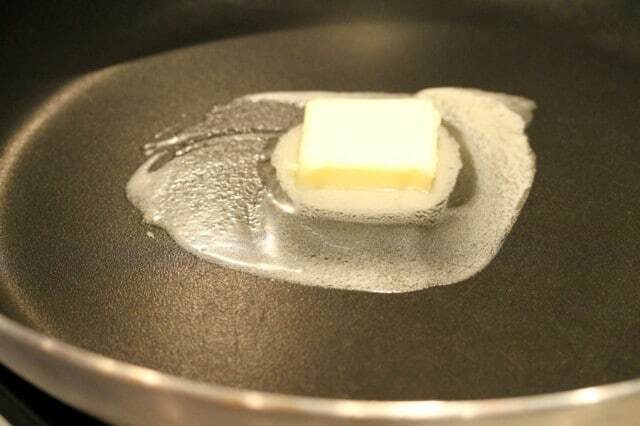 Heat a large non-stick skillet on medium heat and add half of the butter (1 tablespoon), reserving the rest of the butter to add shortly. 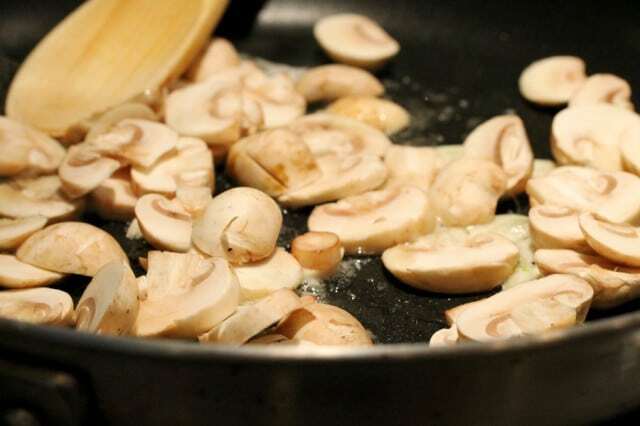 To the skillet add sliced mushrooms and garlic. Stir together. 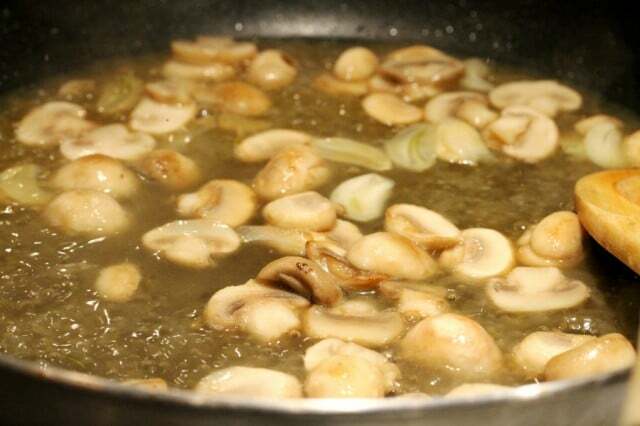 Continue cooking the mushrooms while stirring until the mushrooms start to brown (about 5 minutes). Watch the garlic closely, if it starts to brown too quickly, turn the heat down to low. Turn the heat to the skillet off for just a moment and move the pan to an unused burner on the stove. 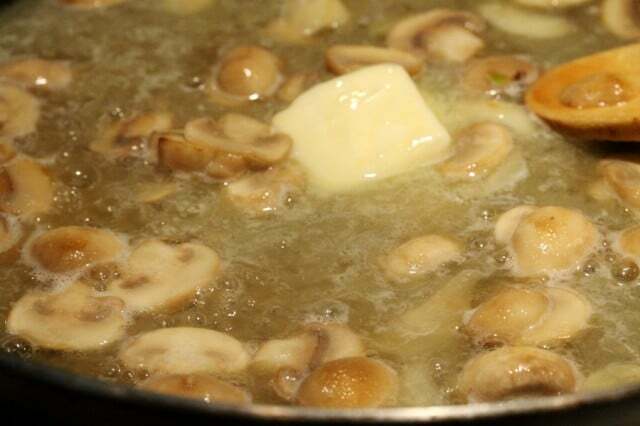 To the pan, add the Marsala wine and remaining butter. Stir together. Then return the pan to the burner and turn the heat back on to medium heat and stir. 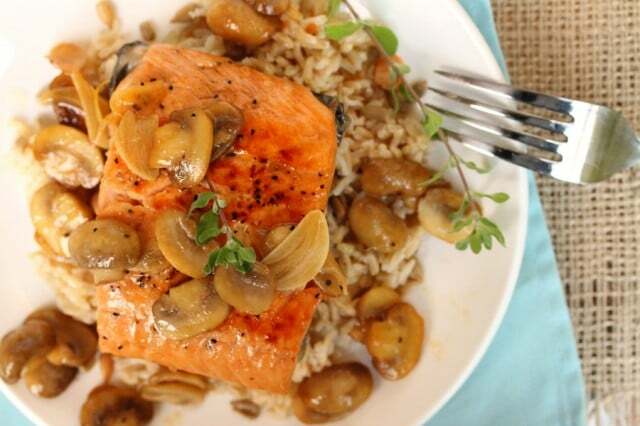 To Serve - To serving plates, add warm cooked brown rice and sprinkle toasted shelled sunflower seeds on top (optional). 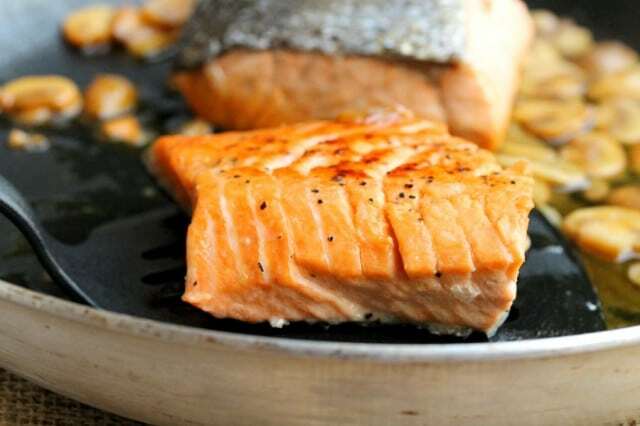 Drizzle the remaining juices from the skillet on top of the salmon and serve. This was so delicious. I threw some spinach in too and it just added a pop of color. Thanks for the recipe! Hi Jennifer, I’m so glad you liked it. I love the idea of adding spinach. I’m sure it looked so pretty along with the salmon and tasted good too. Thank you so much for visiting CCC! What a gorgeous recipe! 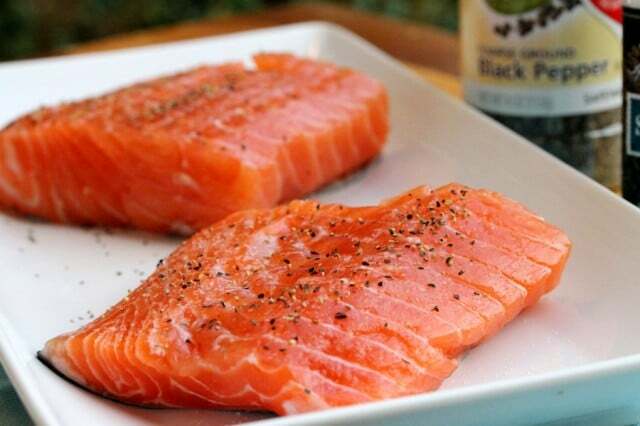 This salmon dish looks absolutely amazing! Wow, this looks very tasty, and a very way to impress guests! I used up my bottle, but will have to get some more. I’m definitely going to give this a try. Hi Kathy, thank you for stopping by. Have a great day!